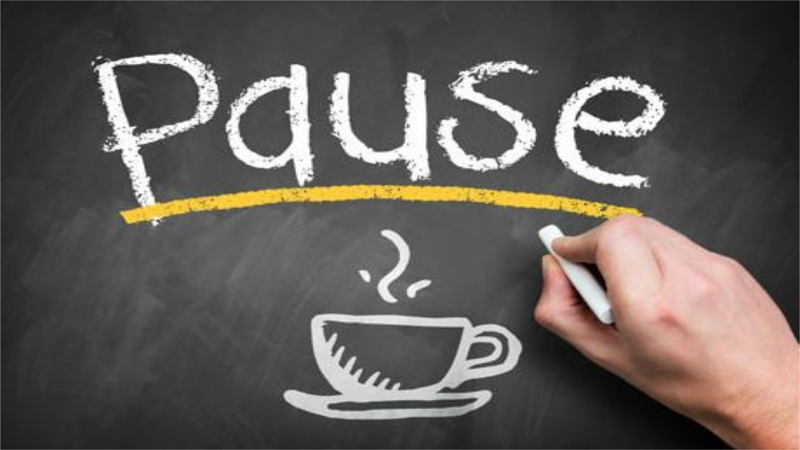 The power of a "Pause." I have been privileged enough to have been part of the Hubspot pipeline generation boot camp. It is an invitational program developed by some top people within Hubspot. The dynamic Dan Tyre hosted my cohort. Dan is employee number 6 at Hubspot and the guy responsible for creating their remarkable sales processes. He is one of the most inspirational people I have met. To paint a picture for you; Working with Dan is like working with the Energiser bunny in an Ironman suit. Wouldn't it be amazing to get paid to help people for a living? Helping people is precisely what Dan Tyre does. His proven methods work at each stage of a customer on boarding process to generate trust and goodwill. Following Dan's teaching, pipeline generation becomes less of a sales slog and more of a way to choose the clients you want to work with based on who you can help the most. Pipeline generation boot camp is all about learning how to help people across as many channels as possible. When you first pick up the phone there so many things running through your mind. Everything seems to speed up, and you talk too fast, you forget why you called and drone into the inevitable "autopilot" pitch. We all do it in the beginning. We try to call based on "lines" or a fixed script and forget everything. I call this going "full monkey brain." Your brain freezes, fight or flight response, kicks in and you forget why you are on the call in the first place. At this point, you might feel like you are a brain dead monkey dancing for treats in-front of an invisible audience. You need to remember that you are a Lion. Sit back take a breath, pause and remember to listen. Then tactfully guide the person on the other end of the phone through a proven process. All of this talk about helping people must sound great to you in principle. In practice, many people are unable to even begin with this philosophy. Dan provided our class with the right level of motivation and mentoring throughout the training and laid out a clear roadmap for successful pipeline generation. "Fear," "procrastination," "need for additional training" are all excuses that are amplified if you don't practice. Until you carve out regular calling time where you find your quiet place, login, find people that need help and start dialling the phone you will never get into the rhythm of calling, and you will keep putting it off. Practice every day with real people. Remember that every person is unique as are their businesses and situations. They all want to communicate in different patterns, only with practice can you understand them and uncover their business needs. The real power of Dan's methods come into play when you just pause. Actively listening to someone's becomes an organic process when you remember to pause and to breathe after asking questions. Pausing opens more doors than you can imagine. The Pause is like a doorbell that asks for a human to human connection. You ask a question, Pause… listen to the response, pause again, consider your response and deliver it with confidence. The key to lead generation is not pitching at every opportunity. It is trying to connect on a human level and helping people at every opportunity. Remember; Pause, breathe and help. This way prospecting becomes helping and eeryone likes to be helpful, helping is easy!